Keto and low-carb recipes for a healthier life! This post may contain affiliate links. Please read our affiliate disclosure. Up your appetizer game with a delicious, creamy dip. 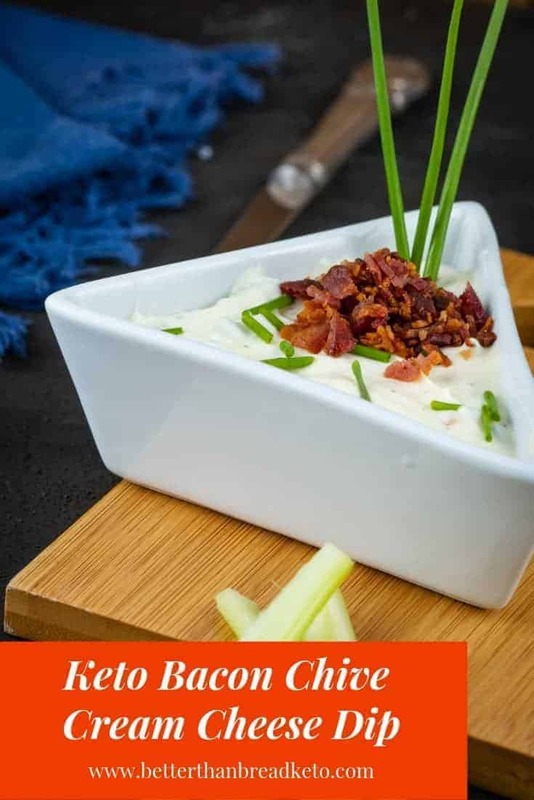 This keto bacon chive cream cheese dip is perfect for your next party or meal! Subscribe to have awesome low-carb, keto recipes delivered straight to your inbox! 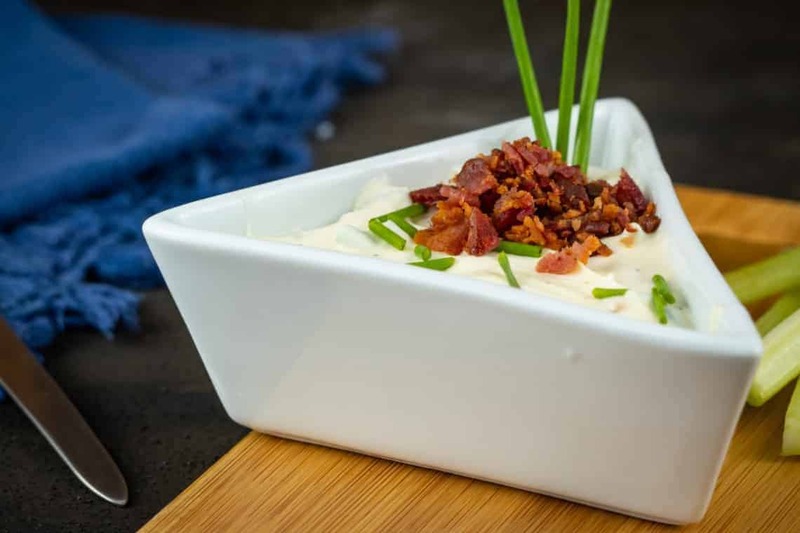 WHAT IS BACON CHIVE CREAM CHEESE DIP? 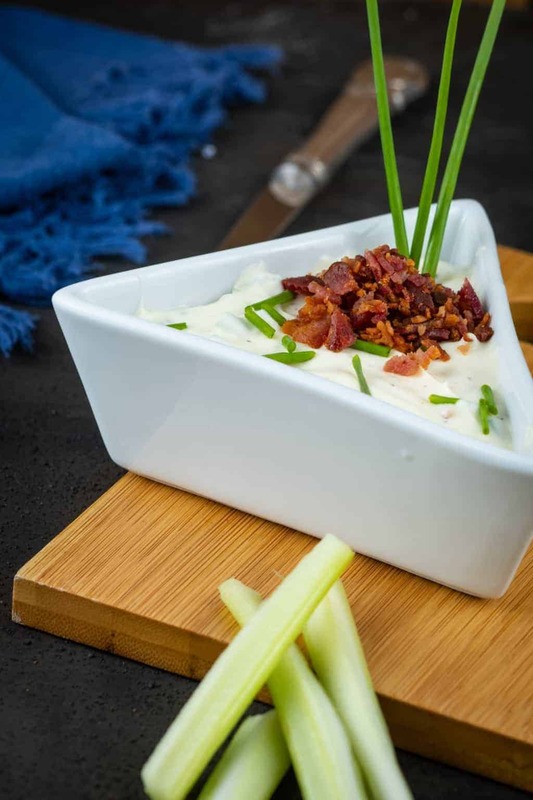 Keto bacon chive cream cheese dip is a smooth and creamy dip that combines the deliciousness of cream cheese with bacon and chives. All-in-all, it’s a very simple dip to make and is a wonderful dip to eat. The method to make this is very simple and the ingredients follow suit. Add this dip to your recipe collection so you can make it for your next party, meal, or get-together! After you have these rounded up, you’re ready to start! Picking cream cheese isn’t an overly hard task, but care should be taken to ensure you select a good quality cream cheese. Below are a few things for you to consider when standing in the cheese aisle ready to buy. When choosing a cream cheese, always be sure to check the carbohydrate content. Depending on the brand, carb content can change drastically. Generally, cream cheese should contain no more than 1 gram of carbohydrates per ounce. If there is more than this, the cheese may contain extra ingredients or fillers. Neither is useful or something you want to be ingesting. Depending on your area and what is available in your store brand, you might be forced to choose brand name cream cheese. 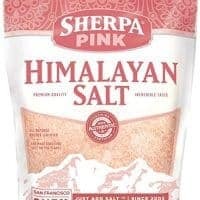 If this is the case, the price will be somewhat higher, but the nutrition will be keto-approved. When choosing a cream cheese for this recipe, never opt for a low-fat version. As you probably know, anything that has been purposefully lowered in fat has a higher level of sugar. In fact, not only is there more sugar, there is often more ingredients as well. This, of course, defeats our mission to eat a few “extra” ingredients as possible. As you’ve probably seen at some point in your grocery store visits, there is a cheese packaged and sold alongside cream cheese. This cheese is called Neuchtafel cheese, and upon first glance is the same thing as cream cheese. What you don’t see at first, however, is that this cheese has a lower fat content and higher water content than cream cheese. While it’s not a huge difference, it isn’t worth using for keto recipes. The moral of the story is, say no to Neufchatel! To begin, use a skillet or saucepan and cook bacon until crispy. Set it aside on paper towels and let cool. In a mixing bowl, combine the rest of the ingredients and mix well using a whisk. Crumble the bacon and gently fold into the cream cheese mixture. Place into a serving bowl. Optionally, you can top with a sprinkle of shredded cheddar cheese for extra flavor. Refrigerate for an hour or two (preferred) before serving. Grab your favorite “crunch” (thoughts on this discussed below) and dip away! Softening cream cheese for this dip is incredibly easy. Just leave it out on your kitchen counter for a few hours before you plan to make this dip and the cheese will be nice, soft, and ready to use! DO I HAVE TO USE CHIVES? Well, no, you don’t. However, they are a delicious component to this dish and really make the overall flavor amazing. Having said that, if you aren’t a fan of chives for whatever reason, you can leave them out. If you decide to leave them out, we highly recommend utilizing the optional cream cheese component of the recipe. This allows for another flavor added to the palette of this recipe. While cream cheese and bacon are both delicious, the two ingredients by themselves are not as satisfying as they are with chives. CAN I MICROWAVE THE CHEESE TO SOFTEN IT? No! If you try and take this route to soften the cheese, you’ll end up with cooked cream cheese, instead of simply softened cream cheese. It takes some time but softening cream cheese the normal way (discussed above) is the absolute best way to achieve the softened final result. Storing this dip is very easy. Simply place the dip into an air-tight container and place into the refrigerator. Simple and easy! HOW LONG WILL THIS DIP KEEP? This deep will keep for several days in the fridge but should be discarded after five days to be safe. 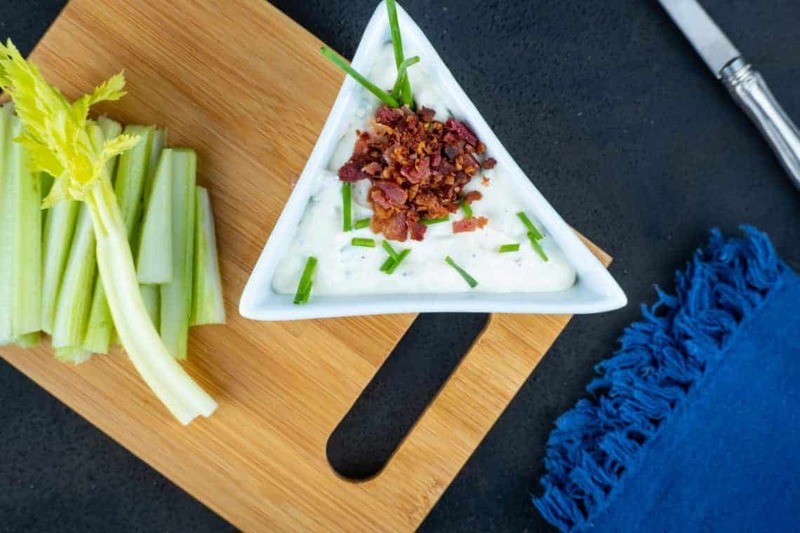 CAN YOU FREEZE KETO BACON CHIVE CREAM CHEESE DIP? Well, you actually can freeze it, but the problems occur post-freeze. When you remove the mixture from the freezer, the cream cheese will probably release water and become crumbly. This alone will greatly degrade the quality of the dip. There will probably be some other taste issues that crop up the chives will not be anywhere near as good as fresh. So all that to say, the answer is yes, you can freeze it, but the result will not be what you may hope for. WHAT “CRUNCH” SHOULD BE USED WITH THIS DIP? Truly, the answer to this is up to you. The easiest and most widely used crunch would be pork rinds. Of course, if you can find them made fresh, they are absolutely amazing. There are other options out there, such as cheese crisps, and keto crackers. If you have a favorite crunch, either made or bought, use it with this dip. There is really no wrong answer here, just use what you like the best! Be sure to leave us a comment and a ★★★★★ review! Grab your favorite "crunch" and dip away! We are a participant in the Amazon Services LLC Associates Program, an affiliate advertising program designed to provide a means for us to earn fees by linking to Amazon.com and affiliated sites. As an Amazon Associate, we earn from qualifying purchases. Share a pic of this recipe on Instagram! Tag @betterthanbreadketo or #betterthanbreadketo! Logan has been low-carb and keto cooking since 2014. In the following two years, he lost close to 200 pounds watching carbs and adding fat. His goal is to make delicious sugar-free recipes anyone can make and enjoy. He started Better Than Bread Keto in late-2017 to help others on their low-carb/ketogenic journey. Hi there! I'm Logan; full time music teacher, low-carb/keto lover, and food blogger.